For the third consecutive summer, IMAN’s Fresh Beats & Eats Farmers Market has enlivened West 63rd Street with vibrant tables of fresh organic produce, various vendors offering homemade treats, and exciting artistic expression. This year’s market season kicked off with a special musical guest all the way from New Orleans: Amir Gray & The Tubatones. Amir and his band not only rocked the Fresh Beats & Eats stage, they also gave local residents a taste of Louisiana with a walking procession throughout the neighborhood. Children along California Avenue followed behind the “second line” and drivers honked along with the beat. This performance was the first of many efforts at “creative place-making” by IMAN’s Arts & Culture department, bringing new artistic experiences (quite literally) to the front doors of residents and connecting them to things happening in their community. 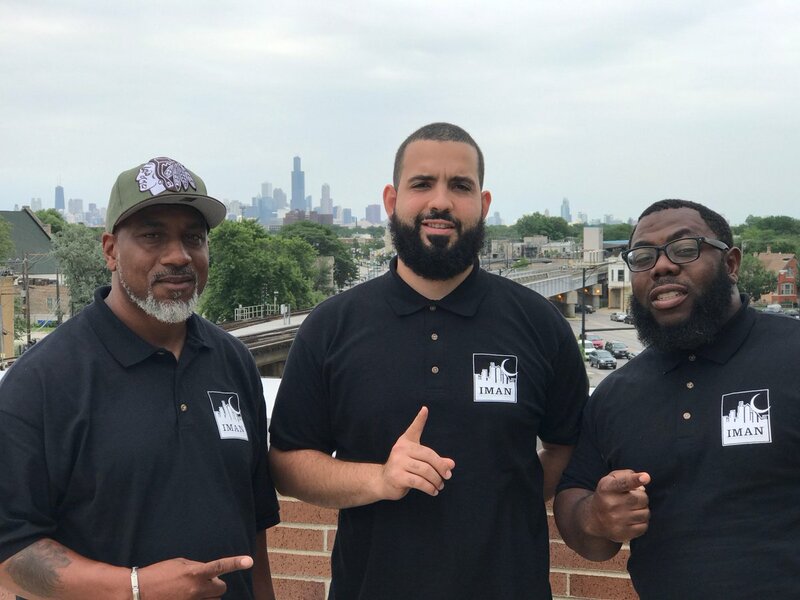 IMAN leaders handed out Fresh Beats & Eats flyers behind the procession and encouraged community members to visit the market to purchase their weekly produce. The farmers market will be held every Friday through the month of October. 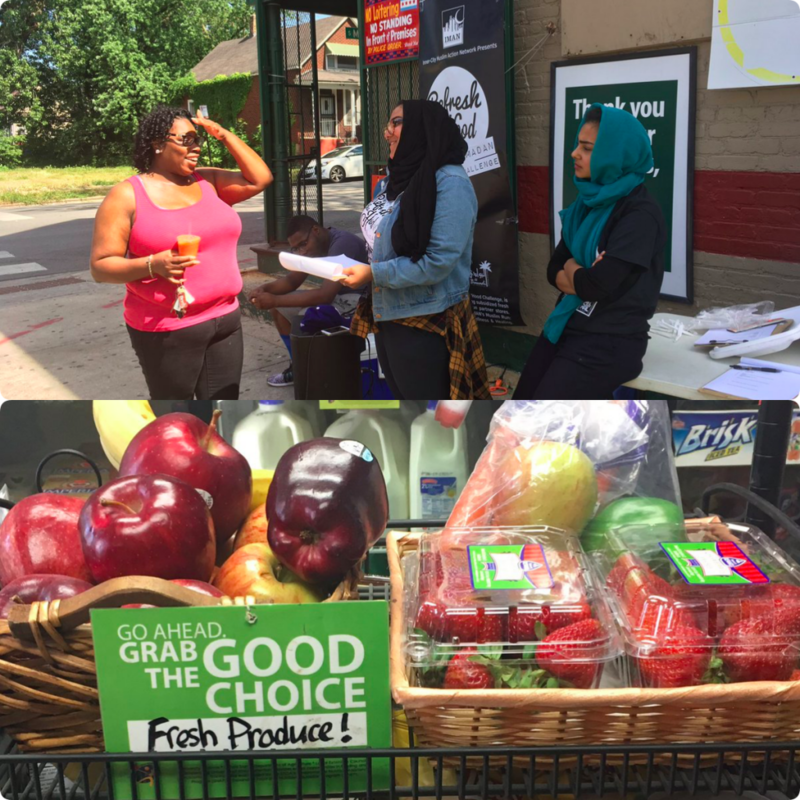 This initiative is a crucial component of IMAN’s mission of inner-city health, wellness and healing; each individual and family who visits the produce stand and pulls up a chair to enjoy the music serves as a proof of concept, and a small but impactful building block along the path to more dignified and healthy community life. Interested in volunteering or vending at Fresh Beats & Eats? 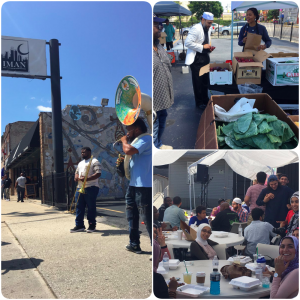 Email us at farmersmarket@imancentral.org to join the team!